Craving a burger? Well you've come to the right place. 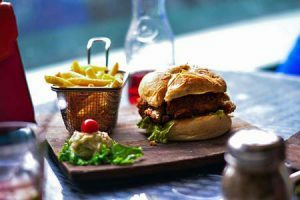 This post highlights the best burgers in Big Sky, Montana. Are you ready to enjoy this classic American meal served up Big Sky style? After a big day under the big sky, it's totally understandable that your tastebuds would be calling out for a juicy, tasty burger. There's nothing better than a towering burger after hiking through Beehive Basin, finishing a day of tram laps, or exploring the world's first national park. Luckily, the perfect burger is available at one of these Big Sky restaurants. How do you like your burger? Do want it drizzled in BBQ sauce, pepperjack, Jalapenos, and bacon? Are you keen to try one with blue cheese and avocado? Or maybe you want to try an elk and bison burger? Do you want to pick your own toppings and create your own burger? How about adding an egg on top? Or maybe you just want the chef's special? There are just so many options. The one thing they all have in common is that they are going to be absolutely delicious. Everyone loves burgers. Try one or try them all. Get them with french fries, sweet potato fries, or a side of cole slaw. Is your mouth watering yet? So who serves up the best burger in Big Sky? That's for you to decide. We hope you enjoy them all. 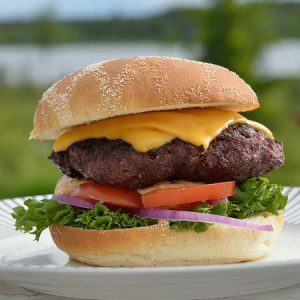 If you're a true burger fanatic, be sure to stop by one of our favorite burger joints in Four Corners (on the way to Bozeman or the Airport) called Best Burger.